A fresh proposal to construct a tidal power station across the Bristol Channel is likely to be approved by the Government despite the concept being rejected two years ago. The initial proposal was rejected following extensive environmental and economic concerns. The feasibility report concluded that the project was a ‘high risk’ given that private investment would be difficult to attract. The company heading the latest proposal, Hafren Power, says it does not require public funding to meet the suggested £25bn price tag, something supported by former Government minister and MP for Neath Peter Hain. £18m has already been raised to conduct an in-depth environmental and economic impact assessment as well as a thorough consultation exercise; and should the Government give the scheme the go ahead the full bill would be covered by sovereign wealth funds, major infrastructure investors and private donations. The 5 year construction phase of the barrage would inject between “£19bn to £25bn into the region and generate 20,000 jobs in the construction industry and perhaps another 30,000 indirectly” says Mr Shenkman, an equity stakeholder in the project. The project would stimulate the economies of both South Wales and South-West England and provide much needed jobs in the construction industry, an aspect supported by Peter Hain. If constructed the barrage would stretch 11 miles between Lavernock Point in the Vale of Glamorgan and Western-super-mare across the Severn Estuary. The company has made marked improvements on the previously plans in which smaller turbines were proposed to sit in the seabed that generated power when the tide rose and fell, but the concept was overwhelmingly rejected. The Severn estuary has the second-largest tidal range in the world with 12.8m tides, an ideal location for a renewable tidal energy scheme. New proposals would see the construction of 256 blocks which would be sunk into the seabed. More than one thousand turbines would be required within the structures. Project leaders have indicated that the 75m tall blocks would be built in Port Talbot, near Swansea, whilst one turbine assembly plant would be located in South Wales and another in the south-west of England. The project would provide the energy output equivalent to 3,000 wind turbines or 4 nuclear power plants generating 5% of the UK’s electricity needs. Wind turbines have proved unpopular to meet renewable demands whilst nuclear has seen a drop in popularity since the Fukushima Daiichi nuclear disaster following the Japanese tsunami in March 2011. 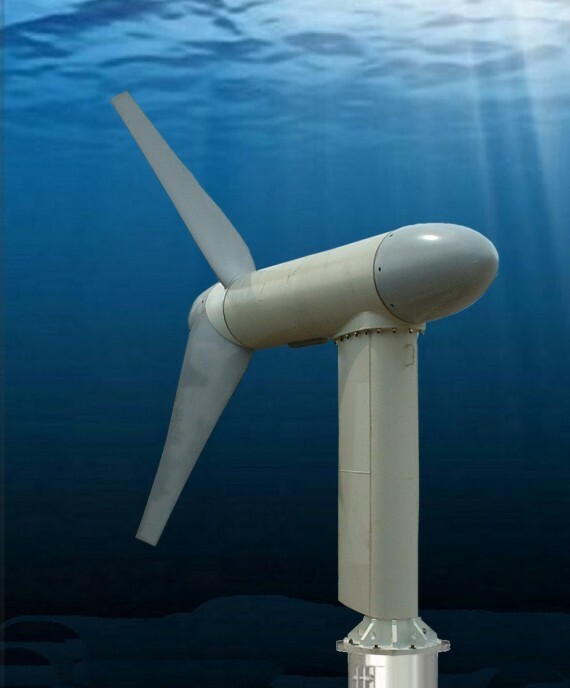 Whilst all three forms provide a option to diversify the UK’s energy production, tidal energy in particular has become easier for the public to support. The structure would also reduce tidal surges and flooding of lowland areas upstream, protecting 90,000 homes in the South West and Wales, although many ministers have questioned these claims. Opposition to the plans have centered around environmental concern. The WWF, RSPB and Friends of the Earth have labelled the project ‘disastrous with irreversible effects’. The Severn Estuary is a designated Special Area of Conservation (SAC), home to 62,000 (BTO) migratory birds who rely on the low tide mud-flats whilst eels, salmon and other migratory fish would be prevented from returning to their spawning grounds. The cost financially could top £3bn since EU wildlife habitat laws require 40,000 acres of compensatory habitat to be found. The debate will continue until the final decision is made, at which point it will be deemed controversial whichever the result. It will be a test of the UK Government’s green credentials to meet energy demand as well as long term consideration of the current natural environment. No date has been set for the announcement.